5 Must-Reads: What Keeps Your Members Satisfied? Are your members happy? In this era of data, predictive analytics and experiential marketing, this question can sometimes seem strangely unquantifiable. 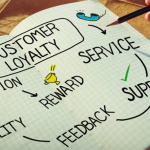 We spend so much of our time and resources on digital and product innovation, yet the true driver of retention and growth is member satisfaction. Are members happy with their experience and how do we continue to provide and expand upon that experience? Because if your members aren’t happy, nobody should be. Here are 5 stories that shed light on what it takes to keep members satisfied. Consumer satisfaction with banking and credit card apps is on the rise, according to two new studies by J.D. Power. In fact, U.S. banks and credit card companies are achieving the highest customer app satisfaction scores of any industry. Furthermore, the highest-performing apps combine high functionality and high performance, with features such as multiple security login options, built-in chat functionality and account management. Credit unions once again topped banks in the latest member/customer service ratings released by Forbes and Statista. Credit unions received satisfaction rating of 4.4/5 vs. and 4.2/5 for banks, reflecting the greater personalization and favorable rates and terms that come with credit union membership. “Customers prefer credit unions because they themselves are the shareholders,” says Statista CEO Friedrich Schwandt. Everyone loves to get paid, sure, but not all disbursements are equal. That’s according to a recent PYMNTS survey which found that when it comes to getting paid, “it all comes down to the three Cs: convenience, certainty and choice.” Notably, 75 percent of respondents indicated that the speed of receiving funds was important to them and 85 percent wanted to be certain their funds were safe and secure. Not surprising, but it goes to show that credit unions can drive member satisfaction through fast, secure payments. Digital transformation is disruptive, innovative, dynamic – but is it always satisfying to members? According to a new study conducted by Forrester Consulting, companies that deploy broad-based, customer-centric approaches to digital transformation generate the most value. Are you doing enough to keep your members satisfied? Contact us to learn more about ways to drive member satisfaction through our products and services. Join us at an upcoming CO-OP Roadshow to learn how credit unions can succeed in digitally transforming their business through a member-centric approach. How Did You Celebrate Customer Service Appreciation Week?